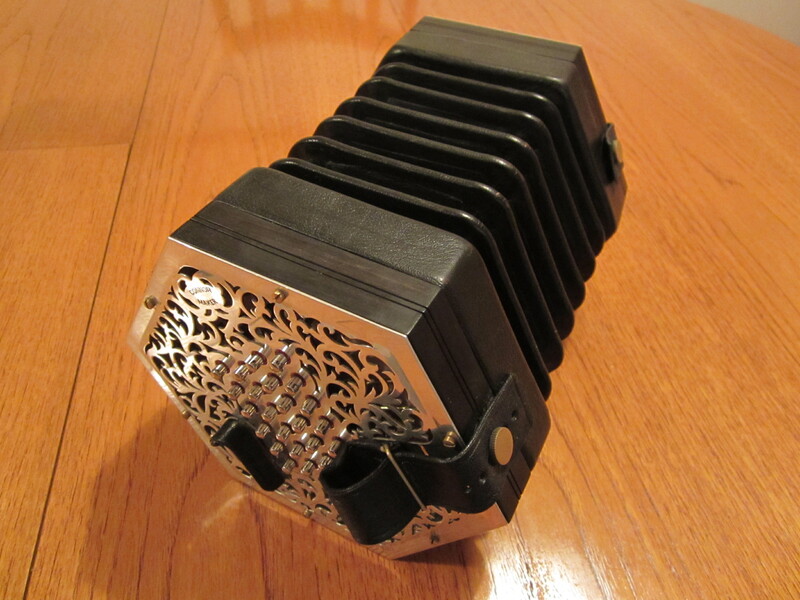 My Connor treble concertina is 6-sided and black, with 48 metal keys. 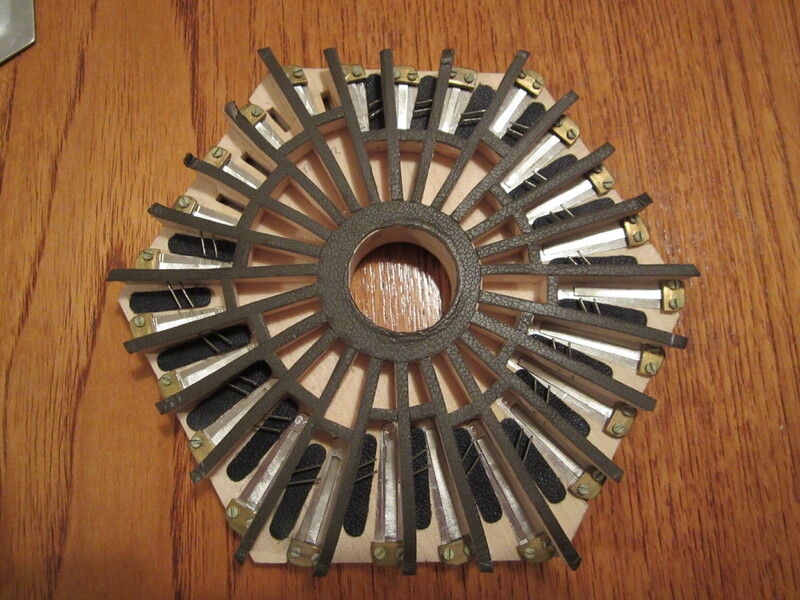 The ends are metal fretwork. The bellows are black. 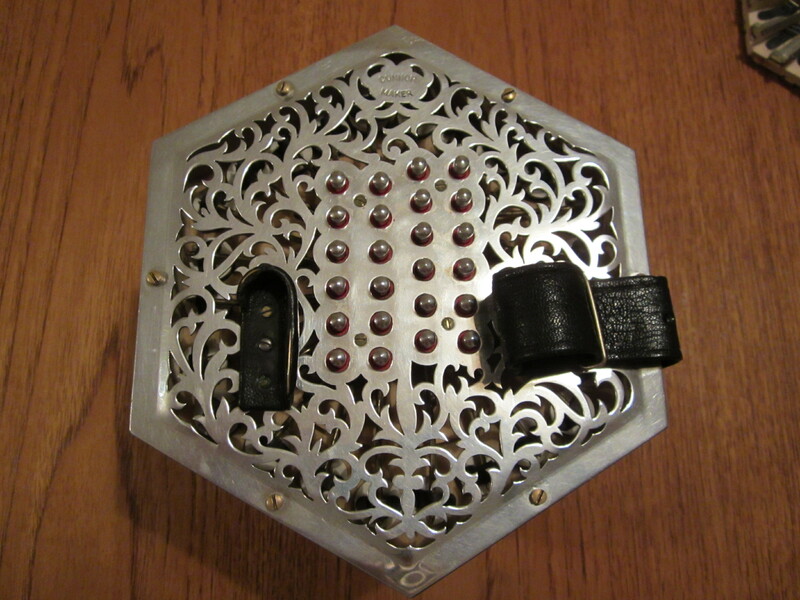 It has its original box, but the hinges are bent. On both ends, chased into the fretworkcan be read "Connor Maker". There is no serial number externally, but it has number 2 internally. I understand from John that it was made in about 1995, but he says he has no records of customers, dates or prices. It is in good condition, all notes play smoothly, and it is is in concert pitch. 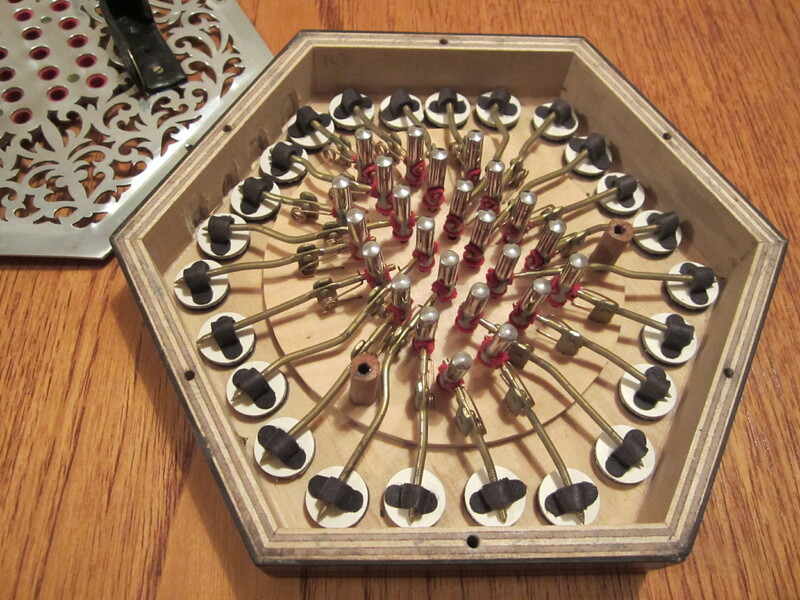 It has steel reeds, in aluminium frames. The instrument is very loud, good for leading, or playing in noisy environments, but not as sweet tone as some of my other instruments. It is well engineered and robust, but as a result is a bit heavy. John Connor worked in the Crabb factory until 1975 when he set up his own business. The Crabb factory closed in 1989. He has made many more Anglos than English, as the demand is greater, and has made no English since 2008. The instrument was bought from at the East Anglian Traditional Music day in Stowmarket in September 2011. The seller was Mike Acott of Ipswich.